As the American lead in conventional military arms narrows with China, there is a growing risk of either side turning to nuclear options in a conflict. Could a confrontation between America and China ever escalate into a nuclear war? At first glance, the idea seems absurd - surely no one has worried about that kind of thing since the Cold War ended 25 years ago? But as rising maritime tensions make conventional conflict between Asia-Pacific's two strongest states an increasingly credible possibility, it becomes more and more important that we understand just how bad such a conflict could become. Otherwise, we will not know how hard we should be working to avoid it. No one really knows the answer. In the 70 years since nuclear weapons were first and last used, the India-Pakistan war of 1999 is the only armed clash between nuclear-armed states. Of course, Cold War strategists spent decades studying how a conventional conflict might cross the nuclear threshold, but the conclusions they drew reflected the specific strategic, political and geographic conditions of the superpower confrontation of that time. Today, things are very different. What we think we know about how a nuclear war could have started between the United States and the Soviet Union on the central front in Europe in the 1960s might not tell us much about how one might start between America and China in the Western Pacific in 2016. As America's ability to score a swift and decisive victory over China with conventional forces alone dwindles, the probability grows that any conflict between them would escalate in time, space and intensity. And as that happens, the risk that it would cross the nuclear threshold rises too. Since the Cold War, it has been easy to assume that America's overwhelming preponderance of conventional military power means that nuclear weapons have lost their relevance. 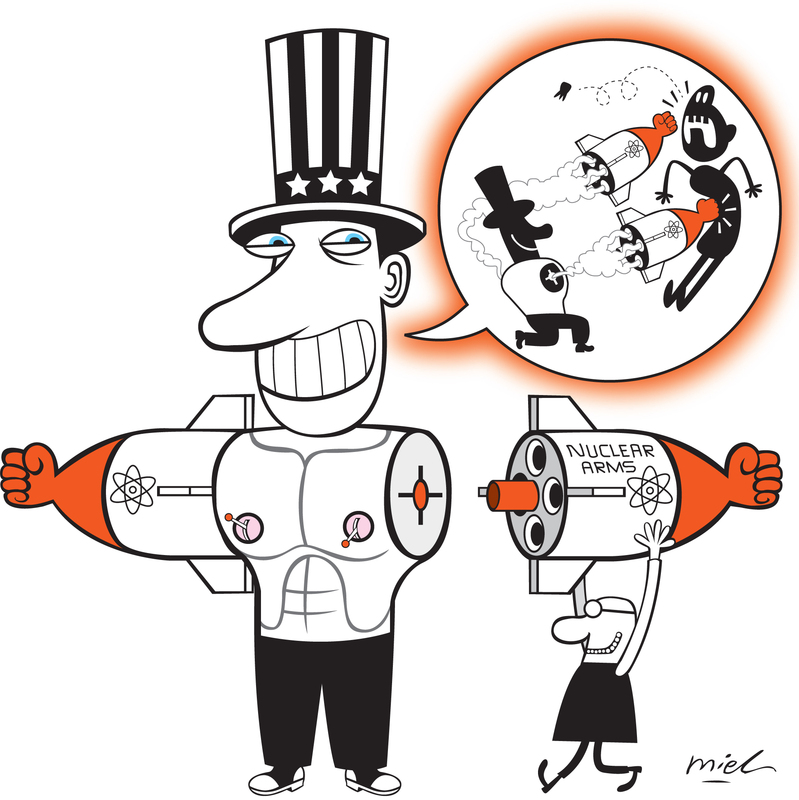 In its last major Nuclear Posture Review in 2010, Washington itself argued that America would rely less and less on nuclear weapons to deter or defeat potential adversaries as it became easier for it to prevail with high-tech non-nuclear forces. But that is not what's happened here in Asia. Over the past decade, America's traditional naval and air superiority in the Western Pacific has been steadily eroded by major enhancements in China's maritime capability - especially its capability to find and sink US aircraft carriers and attack US bases. Many American strategists nonetheless remain very confident that a US-China nuclear war is a very remote danger. That's because they are confident that China would always shy away from any confrontation as soon as the possibility of a nuclear conflict loomed. They believe that America's 7,000 nuclear weapons dwarfs China's 260 by such an enormous margin that any Chinese leader would see that China has much more to lose from a nuclear war than America does. Moreover, many assume that America could minimise any Chinese nuclear attack on the US homeland by destroying China's intercontinental-range forces either before they were launched or in flight. And they assume Chinese leaders believe this too. They therefore think China's leaders would be terrified that in any nuclear confrontation, they would find themselves without any way to respond to, and therefore to deter, a US nuclear attack. But what if Chinese leaders see things differently? Viewed from Beijing, the nuclear balance might look much less unfavourable to China. Indeed, the Chinese might even see the nuclear calculus coming out in their favour. That's because they think that America's advantage in weapons is counterbalanced by their advantage in resolve. To see how they might think this, consider how, in a crisis over Taiwan, Beijing could try to deter Washington from helping Taiwan resist a Chinese attack by threatening a nuclear attack on Guam. That threat would be credible only if the threat of US retaliation against China for an attack on Guam was deterred by the threat of Chinese counter-retaliation against the US. But that might easily happen. Americans cannot really be sure that all of China's intercontinental missiles could be stopped before they delivered warheads against US cities. And they'll become even less sure over the coming years as China's long-range missiles become harder to find and hit. And that means Washington could aid Taiwan only if it really was willing to put Guam and US cities at grave risk of a devastating Chinese nuclear attack. Would any US president really be willing to run that risk? Chinese leaders might well think that they wouldn't. They assume that Taiwan matters a lot more to them than it does to Washington, and they are probably right. The danger remains, however, that each side underestimates the other. That is one of the key differences between the escalating rivalry between the US and China in Asia today and the Cold War confrontation between America and the Soviets. In the Cold War, both sides fully understood the determination of the other. Each side knew that both of them would be willing to fight a nuclear war to deny any advantage to their rival. That made both sides very careful, and ultimately kept the peace between them. Today, there is a real risk that both sides assume the other would back down rather than fight a nuclear war. That makes both sides more willing to take risks that might lead to a confrontation, and increases the risks that a confrontation could escalate to a conflict, and that a conflict might cross the nuclear threshold. What's even more worrying is that no one is very clear where that nuclear threshold might lie. During the Cold War, it was usually very clear to both sides exactly what actions by either of them would trigger a nuclear exchange - especially in Europe where there was a clearly defined border between East and West. In Asia today, this is much less clear. Neither Washington nor Beijing really know where one another's red lines lie, and that makes it dangerously easy for miscalculations to occur, especially when they confront one another in a vast swathe of open ocean without clearly demarcated strategic boundaries. None of this means that nuclear war is a looming and imminent danger in Asia today. It remains a remote risk. But the consequences if it occurs would be unimaginably grave. That means no one thinking about the rapidly shifting strategic dynamics of our region can afford to overlook this risk in deciding how we should be trying to shape events over the coming years. It emphasises how vital it is for all of us that the US and China should find a way to step back from escalating rivalry, and seek some form of accommodation. 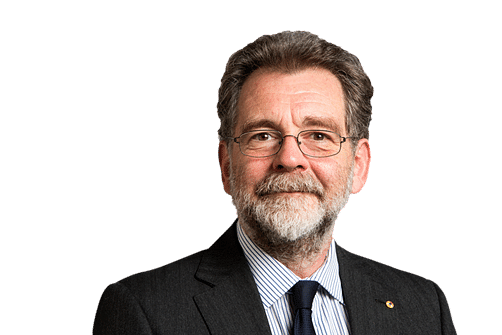 • The writer is professor of strategic studies at the Australian National University in Canberra.